PICO-8 is a fantasy console for making, sharing and playing tiny games and other computer programs. When you turn it on, the machine greets you with a commandline and simple built-in tools for creating your own cartridges and exploring the PICO-8 cartverse. The harsh limitations of PICO-8 are carefully chosen to be fun to work with, to encourage small but expressive designs, and to give cartridges made with PICO-8 their own particular look and feel. PICO-8 cartridges can be saved in a special .png format and sent directly to other users, shared with anyone via a web cart player, or exported to stand-alone HTML5, Windows, Mac and Linux apps.  Any cartridge can be opened again in PICO-8, letting you peek inside to modify or study the code, graphics and sound. PICO-8 comes with a built-in cartridge browser called SPLORE, for searching and favouriting carts from the online collection. PICO-8 has a friendly community of users collaborating, sharing knowledge and creating tools, snippets and tutorials. Check out what people are up to on the forums, twitter, and other places. PICO-8 is tiny to download, easy to install, and will run on almost anything! 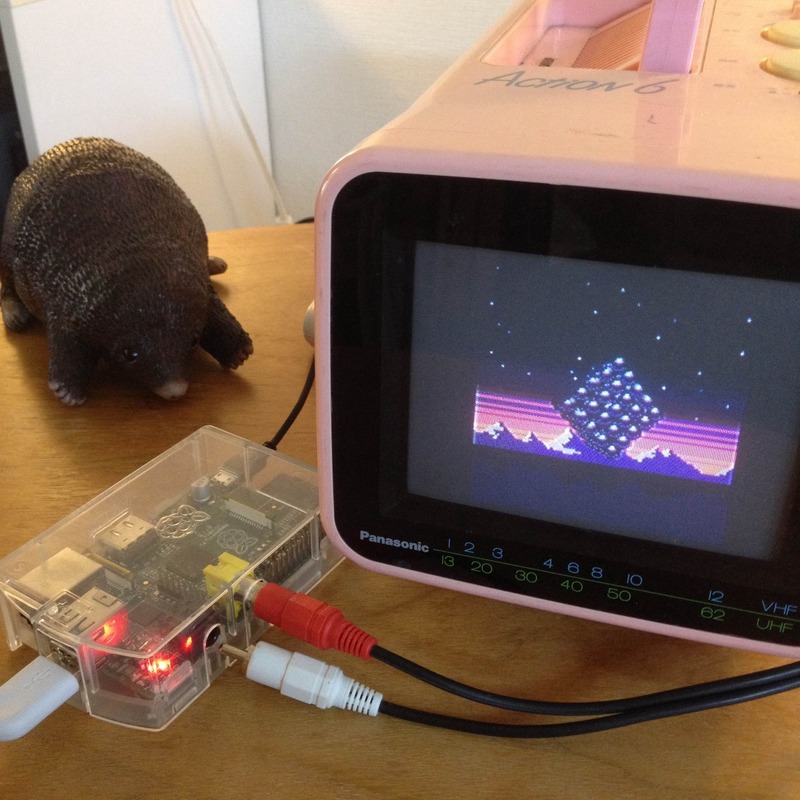 To use PICO-8, you'll need either Windows, a Mac, Linux (i386 / amd64), or a Raspbery Pi (pictured) with ~700MHz CPU. Turn your old unused netbooks or microcomputers into PICO-8s! Become a registered user of PICO-8 and receive access to DRM-free downloads for Windows, Linux, Mac, and Raspberry Pi along with all future updates. You can buy PICO-8 separately, or included with Voxatron (see below). 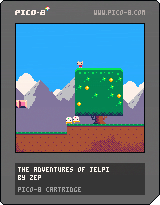 For $5 more, PICO-8 is also available to users of Lexaloffle's other fantasy console, Voxatron. If you already own it, please check your updates page! 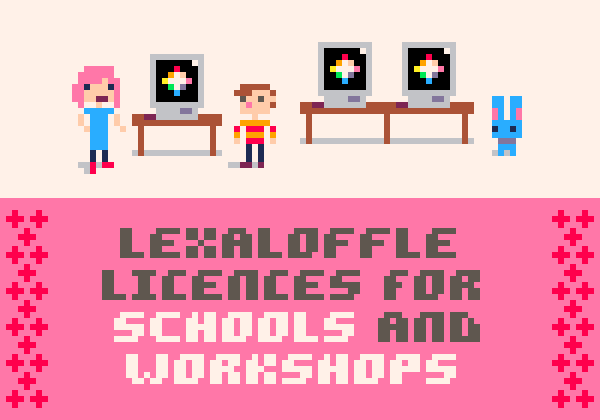 Every copy of PICO-8 comes with a site-wide license for an entire school, workshop or other similar educational space. Discounted take-home licenses for classes are also available.